This FAQ is a section in the General category of the Help Center. 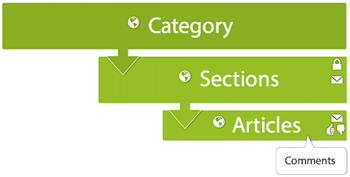 We created the category and a few common sections as placeholder content to help you get started with your Help Center. You'll want to delete our content before you launch your Help Center. You can add your own content, and modify or completely delete our content. See the Contributor guide to the Help Center to learn how.